Do You Want To Work At RINIMC? If you are a professional that is energetic, creative, innovative, and a highly motivated self-starter who wants to join a team that is transforming adolescent education, then we want to meet you! We are always seeking talented certified educators, leaders, nurses, and licensed health professionals to join our team. The Rhode Island Nurses Institute Middle College (RINIMC) is an innovative charter high school founded by the Rhode Island nursing profession in 2011 as a solution to increase the diversity of underrepresented racial and ethnic groups in the nursing workforce. 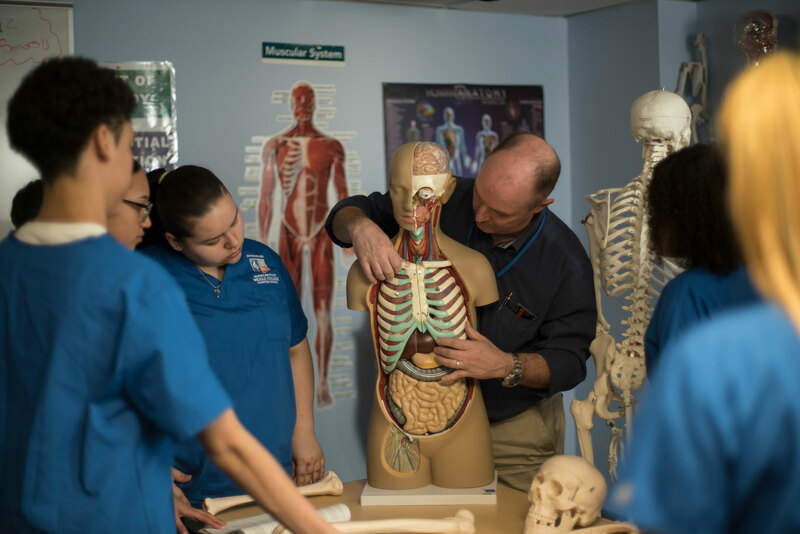 It serves students from grades 9 to 12 in a fully immersed and rigorous nursing college and career preparation (NCCP) high school curriculum. RINIMC graduates earn a high school diploma, health care workforce credentials, authentic workforce experience, and college credits that transfer to a post-secondary degree in nursing or other advanced health care provider degree. There is no other school like this in the state or country. Join us, if this describes what you are seeking! We pride ourselves on our community values of Professionalism, Scholarship, Character, Compassion & Empathy. We embrace being held to high standards, a student-centric individualized learning philosophy, and educational pedagogy that prioritizes comprehensive social and emotional student supports and resources.